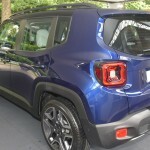 The Jeep Renegade Hybrid is the electrified version of the brand’s smallest SUV, the Renegade. 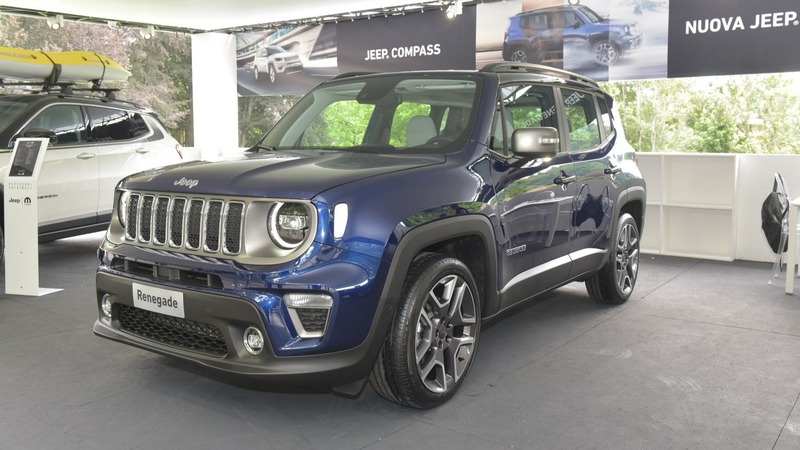 Together with the Compass Hybrid, the Renegade Hybrid stands as the company’s first hybrid vehicle. 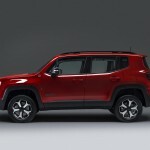 It is identical to the regular Renegade except that it now comes with an electric motor to boost its gasoline four-cylinder engine. 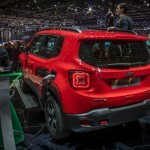 The Renegade Hybrid may be coming after the heels of the Kia Niro and the Toyota C-HR, but it brings with its power, torque, and off-road capability. 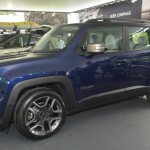 The Renegade Hybrid is identical to the regular crossover. 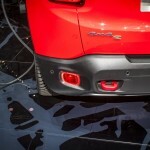 There are a couple of revisions that will make this a standout on the road but these revisions are limited to the small “e” badge on the tailgate and the plug-in socket on the left rear fender. 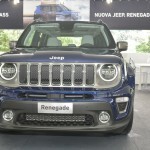 The hybrid model has the same boxier front bumper, Wrangler-like LED headlamps, and reshaped rear bumper. 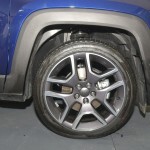 There are seven different wheel options for the Renegade Hybrid, ranging from 16 inches to 19 inches. 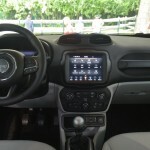 Just like the exterior, the cabin of the Renegade Hybrid is similar to the regular model. 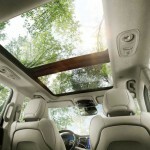 There are some adjustments only to accommodate the new hybrid system that the crossover has under the hood. 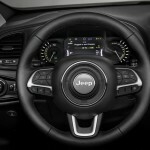 Jeep had to revise the digital instrument cluster so it displays data about the hybrid drivetrain. 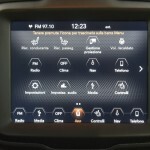 Through the display, you’ll be able to see the battery status and charge, total hybrid range, whether the vehicle is in hybrid or electric mode, and when it’s plugged in and charging. 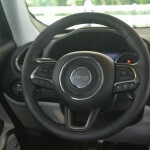 There are new items on the center stack, too, such as the three buttons that allow you to pick a hybrid or electric mode, activate the e-Save feature for regenerative breaking, and activate battery recharging. 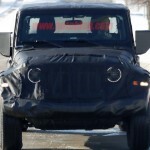 Jeep’s hybrid drivetrain can make up to 240 horsepower. 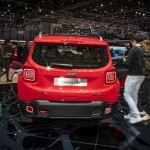 The hybrid system pairs the regular model’s 1.3-liter four-cylinder gasoline engine to an electric motor to produce power somewhere between the vicinity of 190 and 240 horsepower. 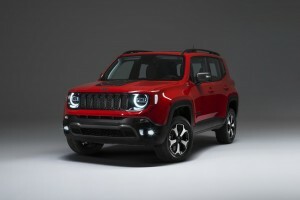 The regular Renegade only makes 177 horsepower. 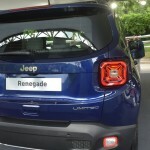 The Renegade Hybrid produces less CO2 emission. 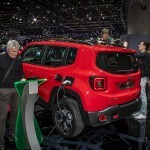 While the regular Renegade is rated at 144 grams per kilometer, the electric motor downs that figure to only 50 grams of carbon dioxide per kilometer. Jeep announced today that its Gladiator, which is due in dealerships later this year, will have a starting price tag of $35,040. It has a higher starting price tag compared to its rivals but the Gladiator more than makes up for it in terms of technology and fuel efficiency. 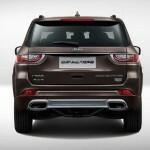 Standard to all variants is a V-6 engine and four-wheel-drive setup. The Sport S trim received a few more goodies than the base model. It goes on sale for $38,240. Move one level up and you’ll find the Overland model, which is priced at $41,890. For that price tag, you’ll get power door locks, two-piece fender flares with body color insert, auto headlamps, side steps, upgraded tires, and other features. 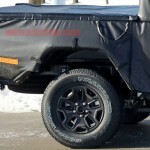 The Rubicon models are the most expensive at $45,040 but that has beefy 33-inch tires, upgraded cloth seats, and a Rock-Trac 4×4 system with heavy-duty axles and locking differentials. 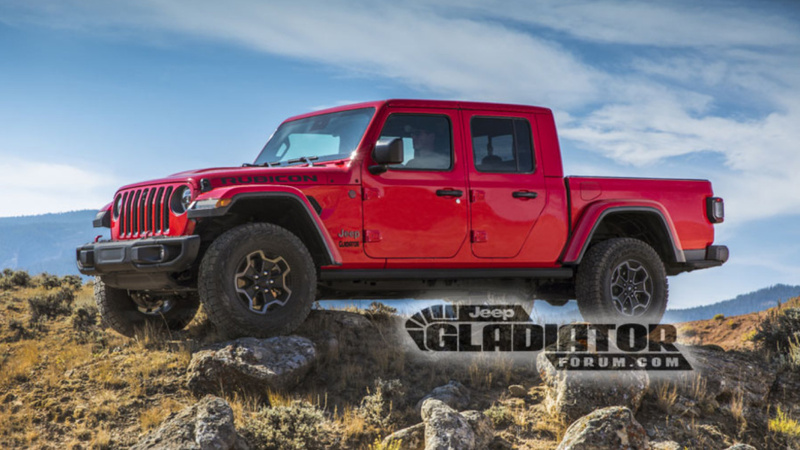 The Gladiator comes with a 3.6-liter Pentastar V-6 engine that can make a whopping 285 horsepower and 260 pound-feet of torque. 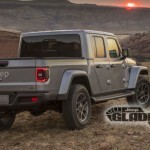 Jeep also released the latest EPA ratings for the Gladiator. 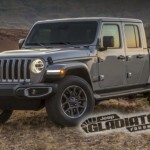 When paired with the standard six-speed manual, the 2020 Gladiator has an EPA rating of 16/23/19 mpg city/highway/combined. 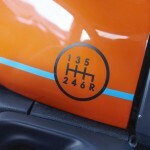 Paired with the eight-speed automatic, it has a slightly more edge than the other units; it gets 17/22/19. Thankfully, though the Gladiator is priced higher than most of its segments, its fuel economy numbers can beat their rivals. The 2019 Toyota Tacoma gets an 18/22/20 mpg rating when partnered with a V-6 engine, four-wheel drive, and an automatic transmission. The Chevrolet Colorado gets 17/24/19 mpg in V-6 automatic and 4WD trim. 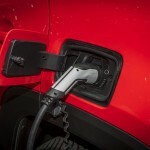 The 2019 Ford Ranger will only be made available with a turbocharged 2.3-liter four-cylinder. 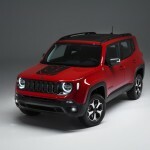 Its fuel economy is higher at 20/24/22 mpg with four-wheel drive and a 10-speed automatic. 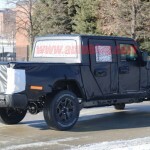 Next year, the Gladiator is expected to carry a 3.0-liter EcoDiesel V-6 engine that can make 260 horsepower and 442 pound-feet of torque. We’ve seen the US-spec version of the 2019 Ford Ranger at the Detroit Auto Show, marking the first sighting after seven years of absence from the US soil. 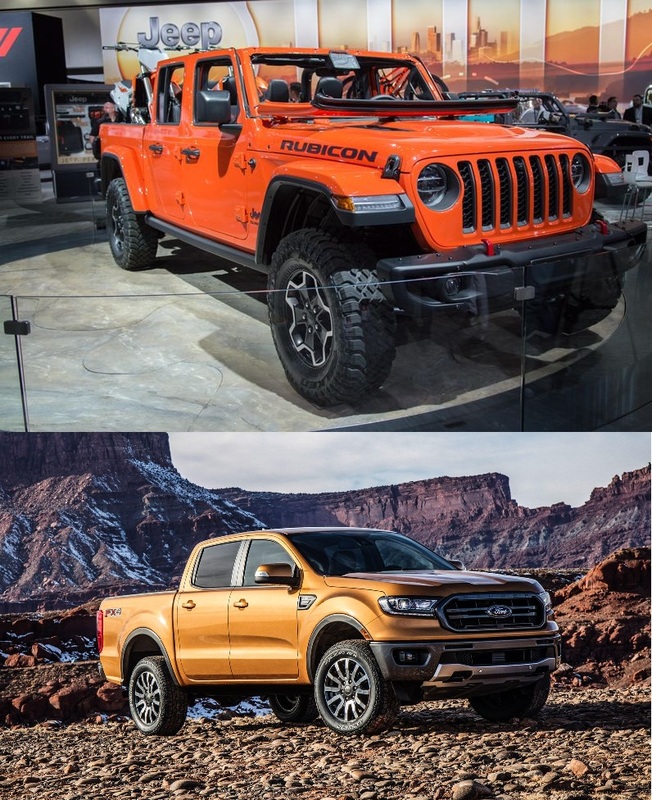 The Ranger, however, is coming back with a lot of competitions to face, particularly the very able Wrangler-based pickup called the Jeep Gladiator. Ford didn’t change anything with the Ranger from the last time it was seen here seven years ago. It feels old and it didn’t add anything to the game. Jeep, on the other hand, also didn’t try anything radical with the Gladiator. There’s nothing in the design that will surprise or wow you but it’s exactly what a Wrangler-based pickup should look like. 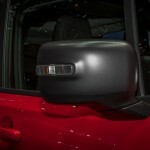 The pickup trucks’ interiors will appeal to different sectors. 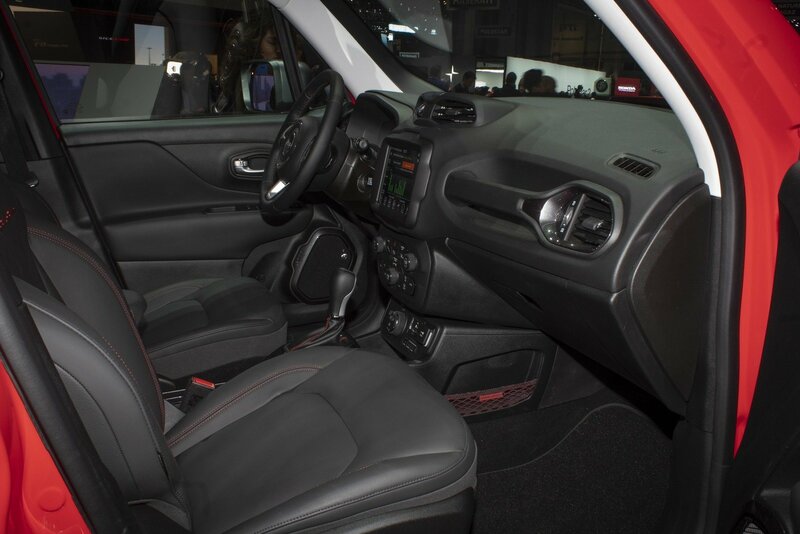 The Ranger’s interior offers comfort and refinement. 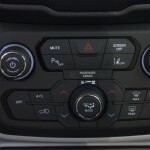 In fact, we wouldn’t be surprised if Ford somehow uses the same layout in its crossover range. 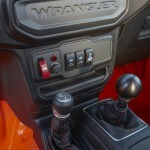 Then, we’ve got a Wrangler-inspired interior for the Gladiator. Forget about inspiration. 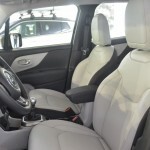 The Gladiator’s interior looks like an exact copy of the Wrangler, which was a crowd favorite. It may not look as comfortable as the Ranger’s interior but we’re very much sure anyone riding the Gladiator will feel the luxury and pleasure of a well-appointed Jeep. Our bet? The Gladiator again. 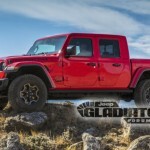 When it is launched, the Gladiator will come with a 3.6-liter V-6 engine that makes 285 horsepower and 260 pound-feet of torque. It plans to add a 3.0-liter turbodiesel V-6 that produces 260 horsepower and 442 pound-feet of torque. 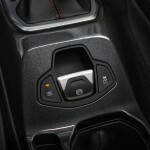 A six-speed manual transmission will come standard while an eight-speed automatic is optional. For its part, the Ranger comes with a single option: a 2.3-liter turbocharged four-cylinder that’s good for 270 horsepower and 310 pound-feet of torque. The only transmission this engine will be paired with is a 10-speed automatic. Our bet? The Gladiator once more. 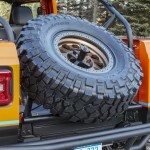 Jeep added 31 inches to the Wrangler’s unlimited frame, giving the Gladiator a five-foot bed. With the tailgate down, that’s enough for some off-road activities with your dirt bikes. The Ranger’s bed, however, matches the Gladiator with five feet but Ford offers a six-foot option for buyers who need the additional space. In this regard, Ford wins, hands down. 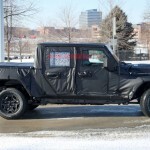 Images and texts for the 2020 Jeep Gladiator were briefly posted on Fiat Chrysler’s website before they were taken down. Luckily, one individual was able to save the docs before they were removed from the media site. Everything we expect the Gladiator to be was confirmed. These are all extremely important information since many are waiting for the launch of the Gladiator. 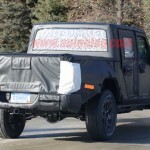 According to the leaked document, the 2020 Gladiator will come with a 3.6-liter V6 engine that can be paired to either an eight-speed automatic or six-speed manual transmission. 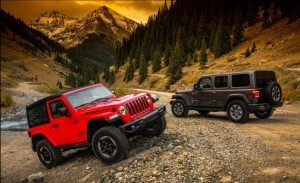 We expect for this pairing to offer the same 285 horsepower and 260 pound-feet of torque as in the other Wrangler vehicles. 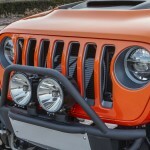 Jeep would be naught to leave Wrangler behind and create something more powerful than its most iconic vehicle. But there’s also an option for those who want more power from the Gladiator. There will be an optional 3.0-liter EcoDiesel V6 and if the current configuration for the Grand Cherokee will be the basis, then Gladiator’s diesel engine might be able to cough up 240 horsepower and 420 lb-ft of torque. 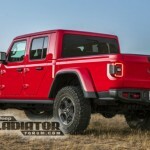 The spec sheet, which was thankfully salvaged, lists the Gladiator’s maximum towing capacity at 7,600 pounds (probably using the diesel engine) and a payload of up to 1,600 pounds. 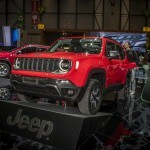 There are two kinds of four-wheel-drive systems that will be available, as well as Dana 44 axles joined with electronic lockers front and rear. There’s also the expected electronic swaybar disconnect and 33-inch tires. 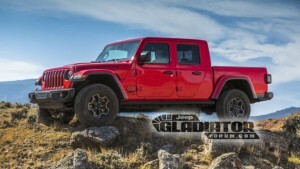 All of these should transform the Gladiator into a functional and efficient off-roader. Here’s another thing that separates the Gladiator: it has an open-air ride capability. That’s something no competitor of Gladiator can offer. 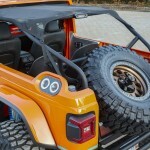 We expect that the standard roof would be a soft top and that looks to be what Jeep is planning. 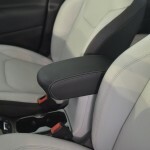 The document, however, showed that two hard tops will also be part of the equation. 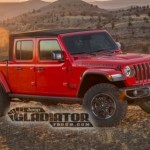 The new Gladiator will have a five-foot bed and a fold-down windshield which purists will absolutely love. When the Jeep Renegade debuted back in 2014, it easily became a favorite because of its city-friendly design and off-road capabilities. 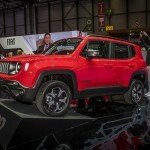 After four years, Jeep decided it’s time to redesign the Renegade, which showed off its new looks at the Turin Motor Show in Italy. 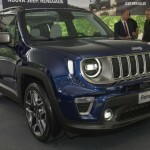 Sleeker and more modern, the new Renegade will feature an updated grille, snazzier lights, and a new set of powertrains. 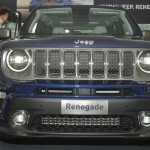 One of the first things you’ll notice about the new Renegade is the changes on the front grille. 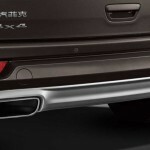 The vertical chrome bars are the same, but they are now thinner and they still divide the grille into seven square sections. 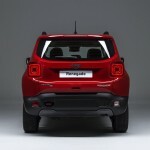 Both the headlights and the taillights are more stylish on this new Renegade. 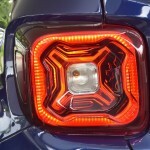 Wasn’t it just a few days ago that Jeep teased the Renegade’s new taillights? 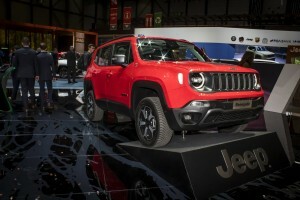 This would redesign the whole look of the Jeep’s rear end and would somehow be the highlight of the differences that separate this new Renegade from the previous model. There’s an “X” inside each lamp but this one is bigger and more prominent than before, plus the black surround is no longer bulky. 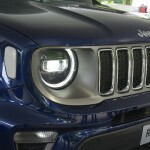 In the center of the light, there might be a Jeep grille. 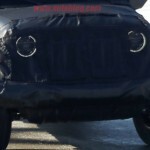 Aside from the headlights and the taillights, Jeep also redesigned the lower vents and repositioned the foglights. 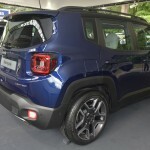 Jeep said it would have new engines for the European market (we have no word yet about the US market). 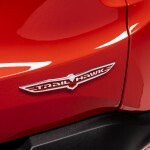 The new engines include a 1.0-liter engine that produces 120 horsepower and a 1.3-liter engine with 150 horsepower or 180 horsepower, depending on the configuration chosen by the buyer. 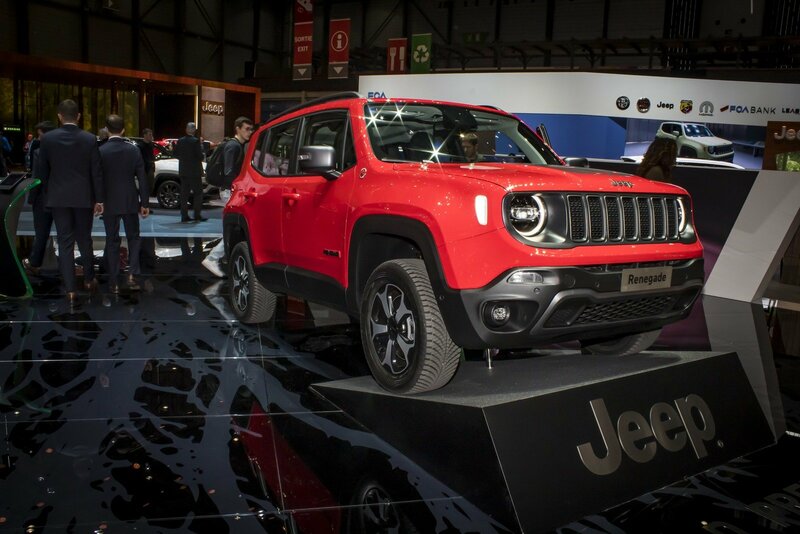 Specifications of the Jeep Renegade for the US version are not available yet, but the current model in the market offers 1.4-liter turbo-four that churns out 160 horsepower or the optional 2.4-liter I-4 with 180 horsepower. 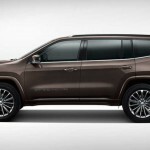 The Jeep Grand Cherokee, together with the Dodge Durango, has been using a premium platform gifted by Daimler since 2011. But that’s about to change now as the next-generation Grand Cherokee will underpin the same platform used on the Alfa Romeo Stelvio. This was confirmed by company CEO Sergio Marchionne during the Fiat Chrysler Automobiles investor conference in Italy last week. Marchionne confirmed reports that the Grand Cherokee is using the same platform used by the Stelvio and the Giulia sedan. 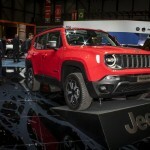 The original architecture has been modified and extended to accommodate both the two-row and the three-row Grand Cherokee, Marchionne said. 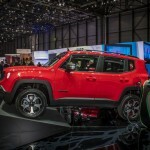 The Jeep plans to release both five-seater and seven-seater for the new iteration of the Grand Cherokee. 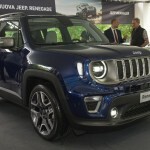 But more than that, the company CEO also revealed that Jeep is planning to come up with a three-row E-segment mid-sized SUV by 2022. 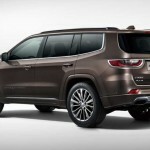 That vehicle might be called the Grand Cherokee as well, though we’re not exactly sure where it will sit in the lineup. 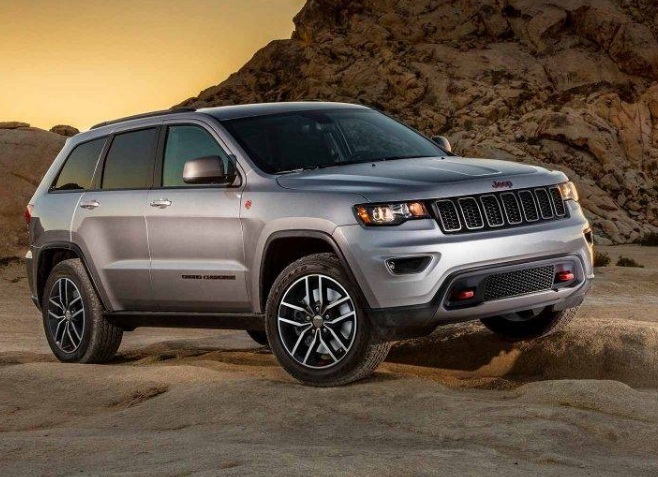 Based on the company’s plans, the new Grand Cherokee will be the first vehicle in the lineup to have Level 2 self-driving capability. That means it will be able to brake, accelerate, steer, and change lanes on long highway drives, similar to what the Cadillac Super Cruise system can do. That semi-autonomous driving capability may arrive in 2020, though a Level 3 self-driving technology is slated to appear sometimes by the end of 2021. 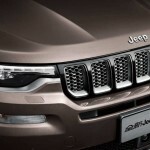 There is no specific timeline yet for the next-generation Grand Cherokee, though the work on the new platform has already started. 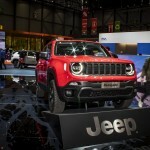 That means that the new vehicle might arrive by 2019 or 2020 at the latest, which is at the end of Jeep’s ambitious five-year plan. The self-driving technologies might appear on this next-generation vehicle. At least, that’s what makes sense to us. 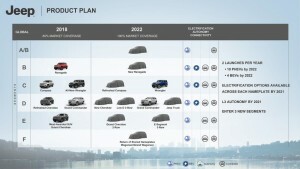 It’s going to either be a 2020 or 2021 model. 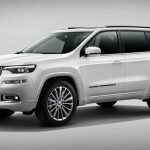 The 2018 Beijing Auto Show has on full display the Jeep Grand Commander, a massive three-row, seven-seater, full-sized SUV. 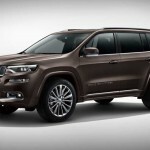 The Grand Commander is the newest Jeep model available to the Chinese market. 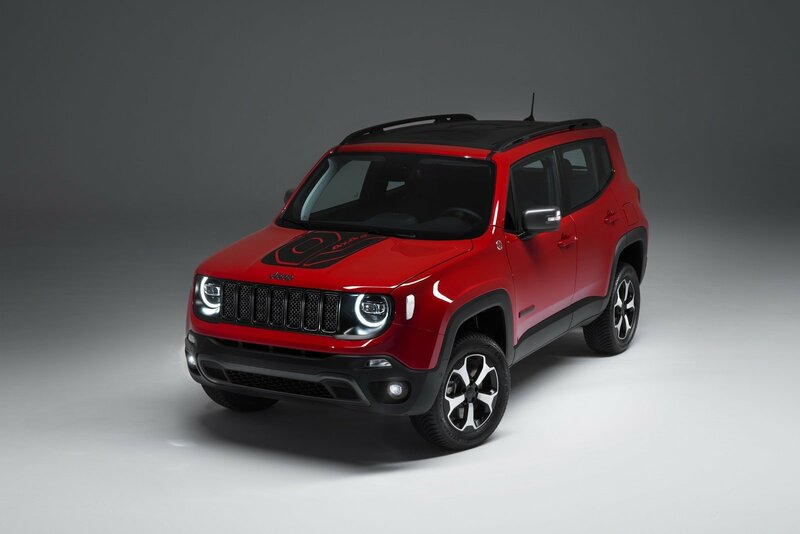 The others are Compass, Renegade, and Cherokee. The Grand Commander sits on a long wheelbase, making it a full-sized SUV. 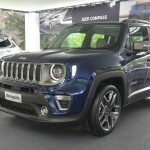 Although Jeep has yet to release info on dimensions, one look at the Grand Commander and you’ll this is one classic SUV (definitely not a crossover). When it comes to design, the Grand Commander is not that far off from Grand Cherokee, though the latter is sportier because of its more aggressive front bumper. The Commander is statelier with its rectangular headlights, compact front grille, and a business-like bumper, fog lamps, and chrome trim. 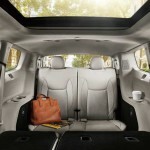 The interior features a three-row seating layout that can accommodate up to seven people. The front section looks like an upgraded Grand Cherokee, thanks to wood trims on a few spots and on the steering wheel. 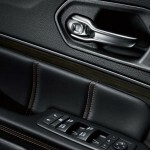 There’s no available information about the powertrains options for the Grand Commander. 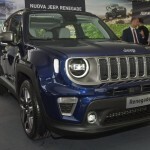 We can surmise, based on the company’s Chinese website, that one of the options would be a 2.0-liter turbocharged engine that is similar to the one found in the new Wrangler. 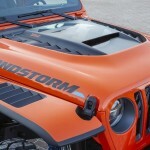 That unit can produce 268 horsepower and 295 pound-feet of torque on the Wrangler. 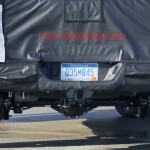 If that unit will be fitted on the Grand Commander, expect it to produce around 350 horsepower. 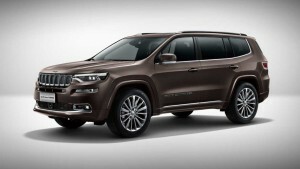 The Grand Commander should further boost Jeep’s market in China. It already has a pretty impressive lineup of vehicles for the Chinese market, but the Grand Commander will be the pinnacle of the available models. Last year, Jeep sold 200,000 units in China, a massive increase from the sales numbers in 2016. And though there has been a drop in sales in the first quarter of 2018, the arrival of the Grand Commander should remedy that soon. 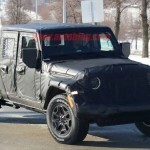 The new Jeep Wrangler will hit dealers’ showrooms in April 2019, that’s the only piece of information we got from the four-hour-long conference that Fiat-Chrysler dealers had last week. The production for the pickup will begin in the fourth quarter of this year, so it makes sense that availability in showrooms will only start April next year. 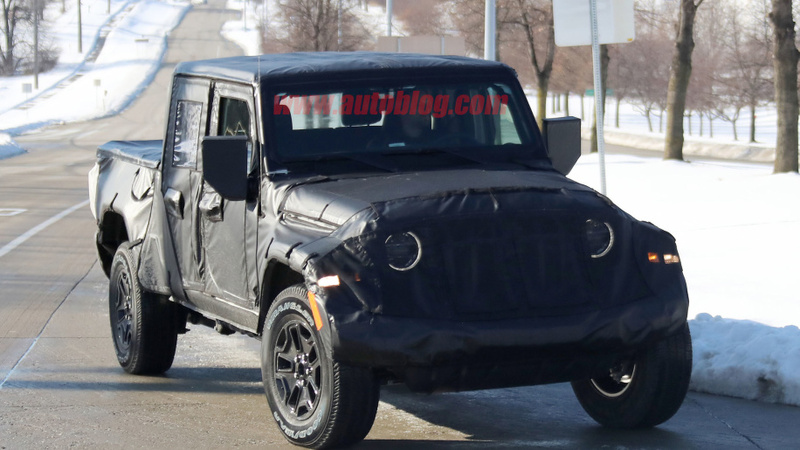 What we are waiting for, though, is a look at the bedded Jeep minus the camouflage that we have seen it is wrapped in less than eight weeks ago. There are rumors, and we’re pretty sure there’s a bit of truth to this, that the official introduction will happen at the LA Auto Show this November to December. 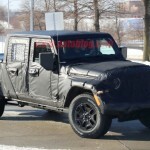 If previous timelines are to be the basis, this makes sense since the standard Wrangler only broke cover a year ago (by November). Though we’re anticipating for the November introduction, we don’t know exactly what to expect. We don’t even know under what name this new pickup will be released. Jeep has kept everything under wraps. 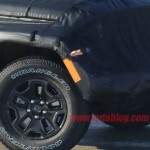 But based on all the spy shots and leaks we have heard and seen, the Jeep will be a four-door Unlimited with a short bed. 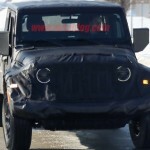 Though there are rumors that it will be a two-door Wrangler pickup, these remain mere speculations up to now. The powertrain options might be the same as the others in the lineup: a 2.0-liter turbo four-cylinder that can deliver 268 horses, a 3.6-liter Pentastar V6 that produces 285 horsepower, and a 3.0-liter EcoDiesel V6 with 442 pound-feet of torque. 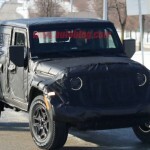 Sergio Marchionne, Fiat-Chrysler’s CEO, expects 100,000 Wrangler pickups to be sold each year starting April 2019. If reached, that would mean a 56-percent increase in Wrangler’s current US and European volume. 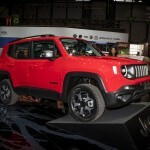 The last Wrangler pickup was the 1986 CJ-8 Scrambler but in April 2019, the Wrangler will join the likes of Chevrolet Colorado, Toyota Tacoma, Honda Ridgeline, Nissan Frontier, and the new Ford Ranger. 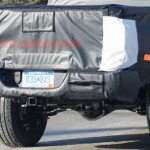 The Wrangler, however, will still be the only one to offer a convertible top. 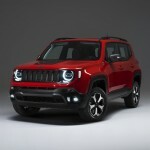 Jeep is looking at introducing seven new concept cars, one of which is the Jeep Sandstorm. It drew inspiration from the Baja racing trucks, and this is most noticeable with the V-8 under the hood and the upgraded suspension. 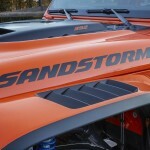 The designers gave the Sandstorm an appearance that is no doubt influenced and inspired by the Baja racers. It has a carbon fiber for a hood with square intakes and several rows of vents. 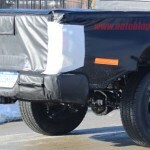 The flared-out fenders out front feature more vents while the top sees an additional matte black roll cage and rear lay-down spare tire carrier. The body panels are finished in bright orange paint. 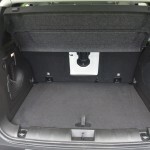 The rear side has a cleaner and more streamlined appearance, thanks to the removal of the door handles, the swing gate, and the aft doors. 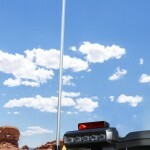 Other race-truck-inspired additions are the tube bumpers in front and back, the beefed-up rock rails, the racing-style fuel filler, and the KC Carbon series for the auxiliary lights and chase light. The Sandstorm is mounted on 17-inch wheels in copper-colored inner framework. 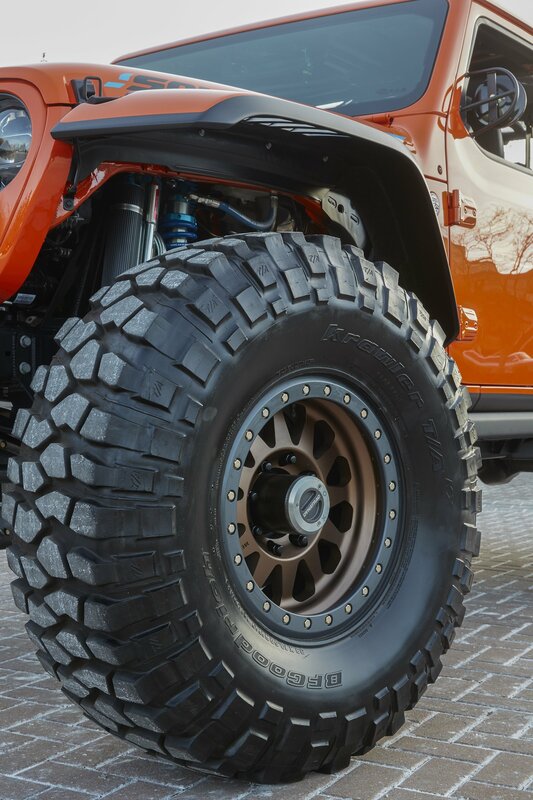 These are wrapped in 39.5-inch Krawler rubber from BG Goodrich. 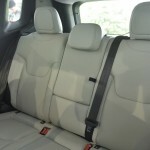 The front seats are wrapped in leather upholstery while the rear has low-back racing buckets. Tech instruments include a racing-spec gauge cluster, a seven-inch off-road GPS, and an onboard air compressor. 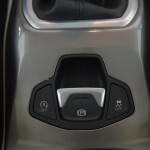 There are also independent rocker switches for the electronics, the axle lockers, and the air compressor. The Sandstorm is being powered by a 6.4-liter V-8 engine with heavy-duty components such as the Dynatrac 60 axles and a 5.68 gear ratio. 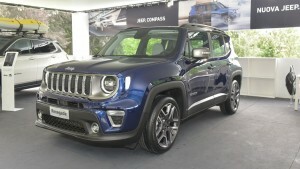 Jeep did not say what the outputs were for the engine, but it’s likely to be 485 horsepower and 475 pound-feet of torque. 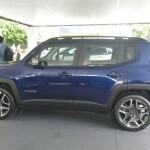 The engine is paired with a 6-speed manual transmission, making the off-road journey nore enjoyable. The 2018 Jeep Sandstorm is perfect not just for the off-road or the race truck experience, but for everyday activities, too. Like a thief in the night, Jeep quietly raised the price for its all-new 2018 Wrangler JL by $750. 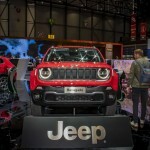 The news came out just after Jeep released its February sales report, which showed a 17 percent increase on the sale of the Wrangler compared to the same period last year. 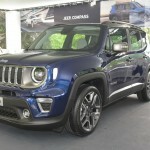 The report said that Jeep was able to sell 15,936 units of the off-road-oriented midsize SUV for the month of February. 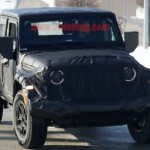 This boosted, of course, the moral of Jeep to actually increase the price of the Wrangler JL. 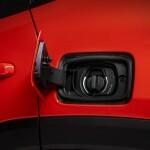 There will be a $500 add-on to the price of every Wrangler model with the $250 being charged as the SUV’s destination fee. Because of this, the cheapest Wrangler JL that customers can get their hands on will be priced $28,940. If you want a Jeep Wrangler, but don’t exactly want to shell out for the prices of the current generation, you can still get your hands on the 2018 Wrangler JL’s predecessor. Jeep is still selling the Wrangler JK at $25,440 after Jeep, same with the JL, added a $250 destination charge. Even before Jeep decided to cash in on the rising popularity of the Wrangler JL, people already found the model too pricey for their liking. Still, that didn’t stop fans and enthusiasts of the model to dip into their pockets and place their money for GMC to swipe. You can’t really blame GMC to wanting to rise the prices for the JL. Both Mercedes-Benz and Toyota are selling similar off-road vehicles for more than double the price of the Wrangler JL. 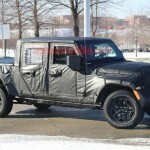 Does that mean the JL has cheaper specs and materials? Definitely, no. But, it does show you just how much these vehicles really cost. The luxury vehicles, G-Class and Land Cruiser, are both doing well in sales, so the $750 price increase may not affect Wrangler’s sales, after all.